Upper blade has notches for stripping 19 AWG and 23 AWG wire. Screw hinge permits adjustment. Scraper and file on outside of both blades. Strong- tough tempered steel. Nickel-plated finish resists corrosion. 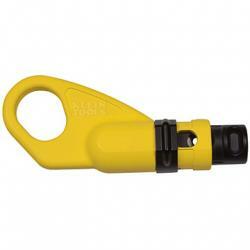 Designed for telecom and electrical applications and heavy-duty use. Serrated lower blade reduces slippage. Spring-loaded action for self-opening. Scotchlok is a registered trademark of 3M. Crimps and seats UG- UR- and UY connectors. Curved handles for greater control. Induction hardened side-cutting knives for long life. Stainless steel blades to maintain blade durability and sharpness. Blade is fully serrated for non-slip cutting action. 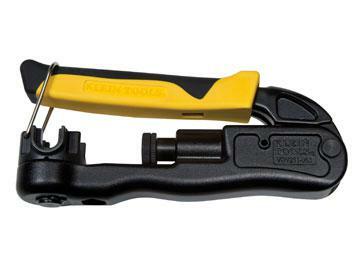 Extended handle provides comfort and cutting leverage for wire cutting applications. 56 HRC. Free-fall snip feature for ease of use. Cuts electrical communication 19 AWG and 23 AWG wire. Designed for easy single operation cable preparations. Exclusive sliding depth gauge for easy debris clean-out and variable stripping capability. Durable high-carbon steel pre-set cutting blades for precise, accurate cable stripping. Finger loop promotes rotation during use. Curved handles provide greater tool control. Knurled jaws for sure wrapping and looping. Induction hardened- long-lasting cutting knives. Easy working in confined areas. Coping-type blade made of the finest cutlery steel- tough and carefully tempered to hold its edge. Handle is textured for comfort and firm grip. 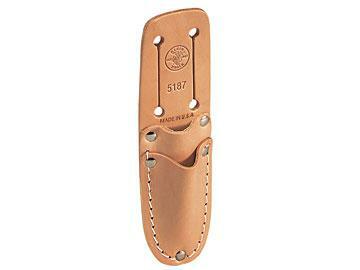 Special-purpose short blade with comfortable- full-sized- heavy-duty handle. Hang hole for easy storage and portability. 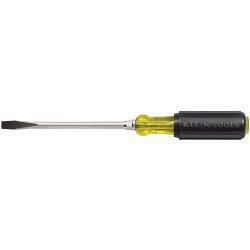 Tip is precision-machined to provide a more consistent geometric symmetry than conventional Phillips-tip screwdrivers. Provides accurate fit and torque without slippage. 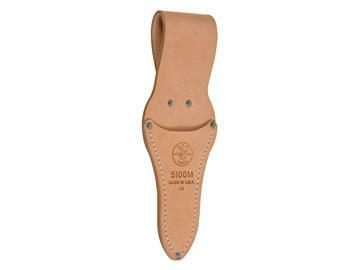 Specially designed to hold a pair of electrician s scissors (Klein No. 2100-5 or 2100-7)- and Cat. No. 44200 cable-splicer s knife. Riveted and stitched for extra durability. Leather construction. 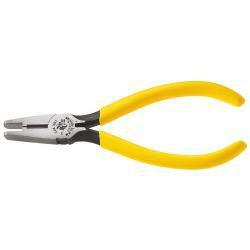 4in Electronics Midget Standard Diagonal-Cutting Pliers. Tapered nose for easy working in confined areas and close tip cutting. 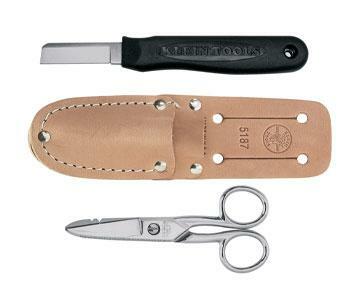 Cushioned grips and steel return spring for increased comfort during repetitive cutting. Ultra slim profile increases access in confinded areas. Heat treated for increased durability. Shear cutting greatly reduces cutting effort and minimizes fly-off. Shears wire up to 18 AWG producing a flat- flush cut. Cleanly strips 22 (.34mm sqd.) to 24 (.25 mm sqd.) AWG wire. Convenient insulation crushing slot. Curved handles provide greater tool control. 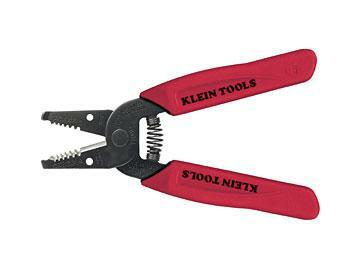 Holds Klein cutting tools Cat. Nos. 22000- 22001- 22002- 22003 and0 23008. Made in the U.S.A of leather. 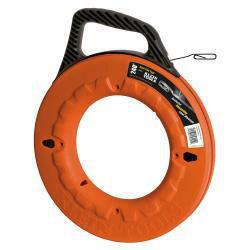 Tunnel loop fits belts up to 2in (50.8 mm) wide. Riveted and stitched for extra durability. 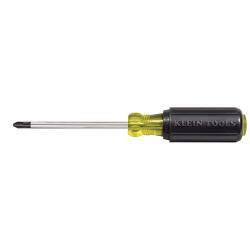 1/4 Keystone-Tip Screwdriver. Built to handle the tough jobs with ease. Hex bolster reinforces shank for hard use and allows wrench assisted turning. Well-suited for electrical and telecommunications work. 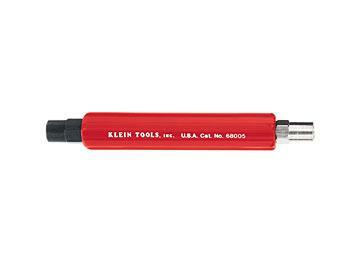 Small-diameter shank for use in recessed holes or tight places. 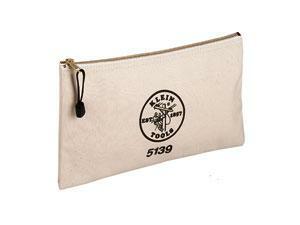 Convenient storage for pliers- wrenches and other tools. No. 10 canvas bag with strong zipper. High-leverage design. 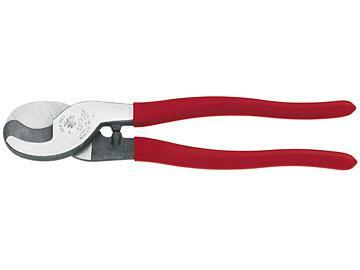 Rivet is closer to the cutting edge for 46percent greater cutting and gripping power than other plier designs. Streamlined design with sure-gripping- cross-hatched knurled jaws.